Build the ultimate product roadmap. 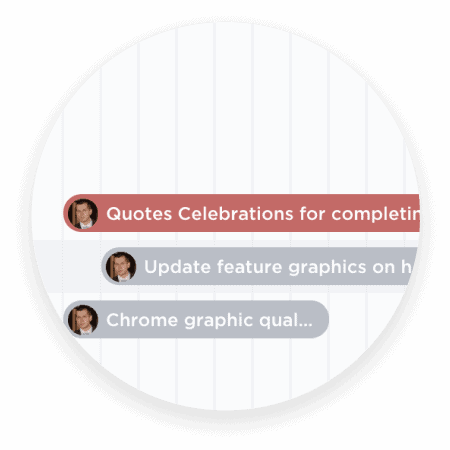 Create strategic timelines and facilitate team collaboration to achieve any goal. ClickUp helps you do it. 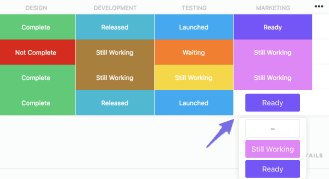 Create the best roadmap for your team by using Custom Fields in ClickUp. Make any field you need--such as milestones, costs or key contacts--and build out your product road map. Eveyrthing is one place and easy to access. Identify risks at a high level. Know how everything is coming together. 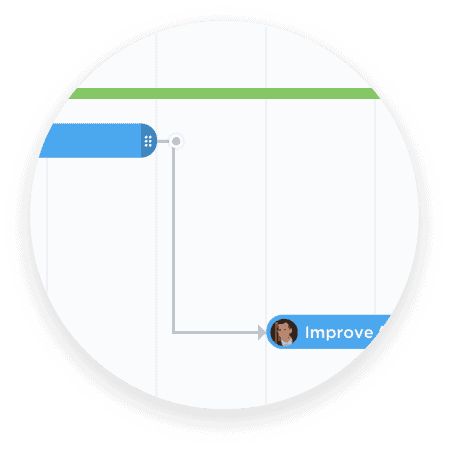 Gantt charts in ClickUp will show you overlaps between dependencies, timelines and releases. Identify your risks and bottlenecks and take immediate action. Set milestones and schedule time. Set goals for your team with milestones and key dates. Your team will finish their sprints and tasks on time with plenty to spare when they’re organized and working together. Who’s doing what and how fast? 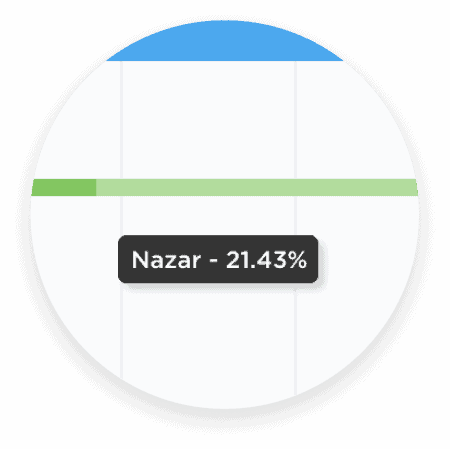 ClickUp tells you. Measure your roadmap and gauge what’s feasible for your team to accomplish in a certain timeframe. Let templates do the work. Building a new version or want to save your road map for next year? Use templates. You’ll retain all of your details, attachments, due dates, comments--everything that you need. Or de-select the ones you don’t. 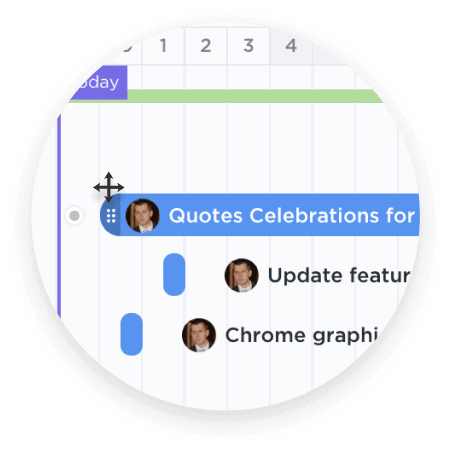 ClickUp is a flexible project management system to help your product management flourish. If you work with clients or external stakeholders at the corporate office, you can share your roadmap with them without sharing the nitty-gritty details. Set permissions to share only certain tasks. These guest users can view, comment or edit.